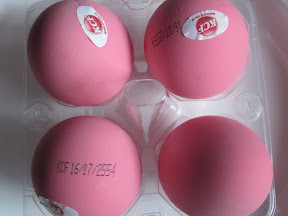 These bright pink (or newer version is green) eggs will remind you of Easter Eggs and you might wonder what do we do with it. These eggs are color coated in order to preserve the fermented matter inside. They prevent these eggs from getting spoilt, after they have been pre-processed. The yolk inside the egg will be dark brown color. This Egg is one of the exotic ingredients you will see in this website. They are originally from Chinese food culture, and the Thais have adapted and made some dishes out of it. Usually you will see this fermented Egg coming with preserved Ginger on Hors d’oeuvre plate, Salad or Spicy Stir-fry with Holy Basil. I was looking at some of your blog posts on this web site and I believe this web website is real instructive! Keep posting .